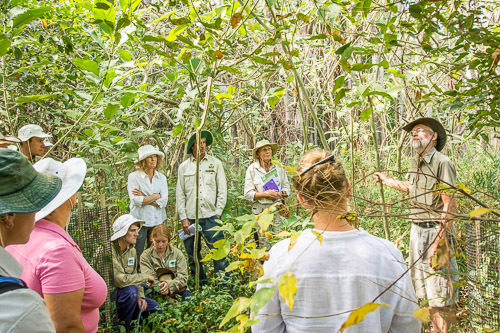 The Healthy Catchments = Productive Catchments project aims to promote the ecosystem service benefits of biodiversity management within the productive agricultural landscapes of the North Coast of NSW. To date, most work on the production benefits of biodiversity management have focused on open-woodland communities with very few publications relevant to the sub-tropical systems of northern NSW. Our understanding of the pollination (blueberries, pasture herbs and legumes), drought proofing, stock protection and erosion control services provided by native trees has improved considerably over recent years and this project aims of collate and disseminate this material. 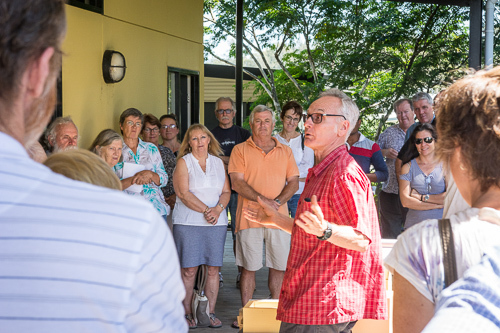 This small project has allowed the Jaliigirr Biodiversity Alliance to deliver four workshops on crop pollination and the management of Australian stingless bees, revegetation techniques, planning revegetation for productivity and biodiversity benefits, and rainforest restoration approaches. The Healthy Catchments = Productive Catchments project is supported through funding from the Australian Government’s National Landcare Programme.